Here's a scary thought: That expensive serum you splurge on every few months might not be working as well as it should simply because you're not layering it over other skincare products in the proper order. Seriously, the order that you apply skincare makes a real and significant difference to your skin. If you're not following that order, it could be compromising the overall efficacy of your routine. And why buy the most effective products if you're not going to use them in the most effective manner? Seeing as I rotate between a couple different high-priced serums (one of which is IS Clinical's Active Serum, which is a whopping $135 per bottle), this thought is enough to keep me up at night. "The order you place your skincare products matters," says celebrity facialist and esthetician Shani Darden. "In general, you want to apply products thinnest to thickest." This ensures that all the product is getting time in direct contact with your skin (which is kind of the point of skincare products, yes?). Because I'm paranoid of wasting potent ingredients and subsequently a good amount of my paycheck due to incorrect application order, I asked a couple of experts—including Darden—to spell it out for me. First things first. Cleansing always takes precedence. It sounds obvious, but some people insist on going without cleanser each morning. Their reasoning is that they wash their face each night. There's no makeup or dirt coming in contact with their skin while they sleep, so they just splash water on their face. This could be a mistake, according to Craig Kraffert, board-certified dermatologist and president of Amarte Skincare. "Why not just splash water on your face in the a.m.? Because even the best products won't work if debris or oil is on the skin. You will gain quite a lot from cleansing, as opposed to just splashing water on your face in the morning, because the products you use work their best and absorb most efficiently on debris-free skin." This makes sense, considering your skin can still produce oil and come in contact with environmental pollution at night. Next up is exfoliant. 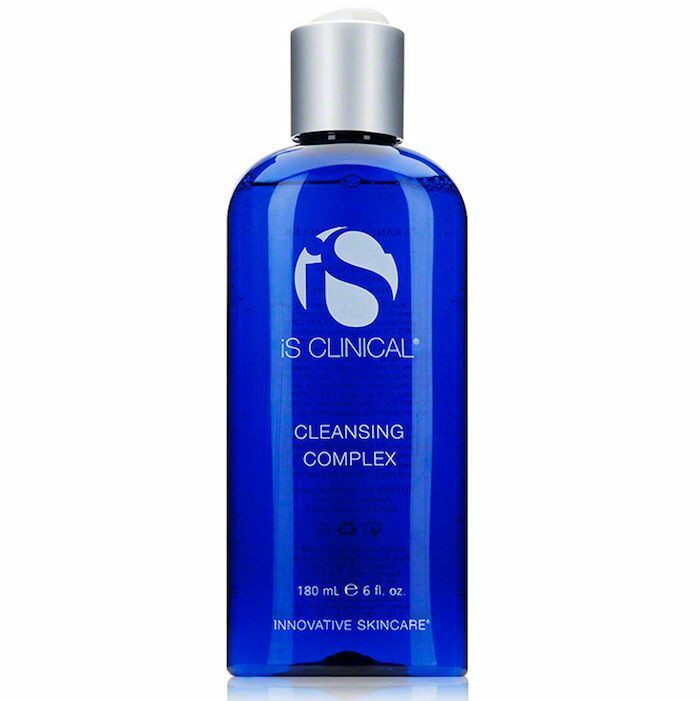 This sloughs off dead skin and pore-clogging impurities, so other skincare products can sink in and work their magic. "Both cleansing and exfoliating are essential for keeping skin youthful and fresh, but in many cases, you can combine cleansing/exfoliating into one step," Kraffert says. "Save time by using a daily exfoliating cleanser like Amarte Daily ExfoliPowder ($37), which uses ultra-fine corn starch for just a touch of gentle manual exfoliation while also cleansing and removing makeup." Kraffert says a gentle exfoliant, like Amarte's, is gentle enough for everyday use. "The 'old school' way of thinking was to not exfoliate more than a few times a week, but these types of exfoliant cleansers can be used every day and eliminate the need to use both a cleanser and an exfoliating treatment separately." If you're using a more intense exfoliant, go old-school and span it out to a few times a week. After exfoliating, your skin should be smooth, fresh, and clean. That's when you reach for toner, which is a thin veil of hydration that should always precede moisturizer. "Toners are wonderful products to use, and while not everyone needs to use them, everyone can use them: They're calming and provide an additional layer of hydration to prep the skin for makeup," says Kraffert. People who have acne and/or oily skin will benefit most from using toner since "they're formulated to remove sebum, oil, and dirt from the pores." If you don't have oily or acneic skin, Kraffert says to treat toner as you would a face mist or facial wipe. "They can be especially convenient for use while traveling or refreshing skin on a hot day without ruining your makeup. Take one in your gym bag, stash one in your carry on and keep one at the office for an instant hydrating complexion boost that saves you from taking five minutes to 'freshen up.'" 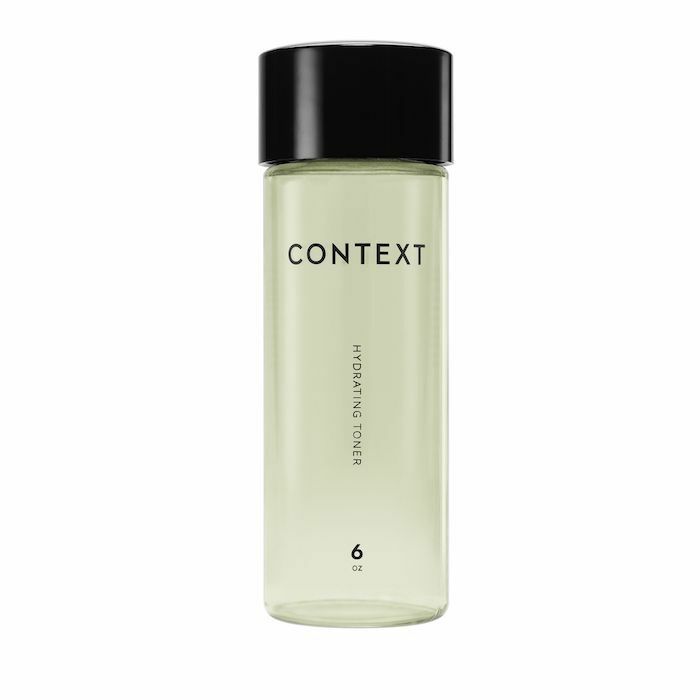 For the latter, we like using Context's Hydrating Toner $38, which has a fresh citrus scent and hydrating finish. Next is serum. Darden prefers using a vitamin C serum each morning, which provides skin-protecting and anti-aging antioxidants. (There's a reason vitamin C serums are trending on Pinterest.) 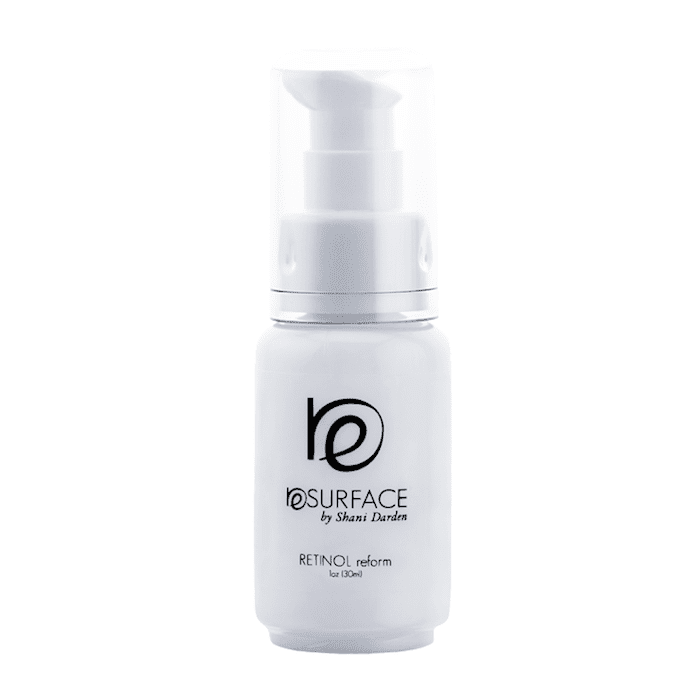 At night, though, she will sub vitamin C serum out for a retinol serum like her Resurface Retinol Reform ($95). It smoothes the skin's texture and treats and prevents signs of aging. Celebrities like Jessica Alba and Chrissy Teigen swear by it. There are also a few members of the Byrdie team who can attest to its skin-refining magic. Kraffert, on the other hand, recommends using a water-based serum like Amarte's Aqua Veil Pure Hydration Serum ($57). "Your serum should be full of botanical extracts and antioxidants and lightweight yet powerful hydration properties as a primary benefit," he says. The potent blend of good-for-skin ingredients is subsequently why serums are usually the most expensive part of a skincare routine—and also why I'm committed to using it correctly, which means applying it before moisturizer and after toner. After serum, apply moisturizer to keep your skin balanced, hydrated, and plump. 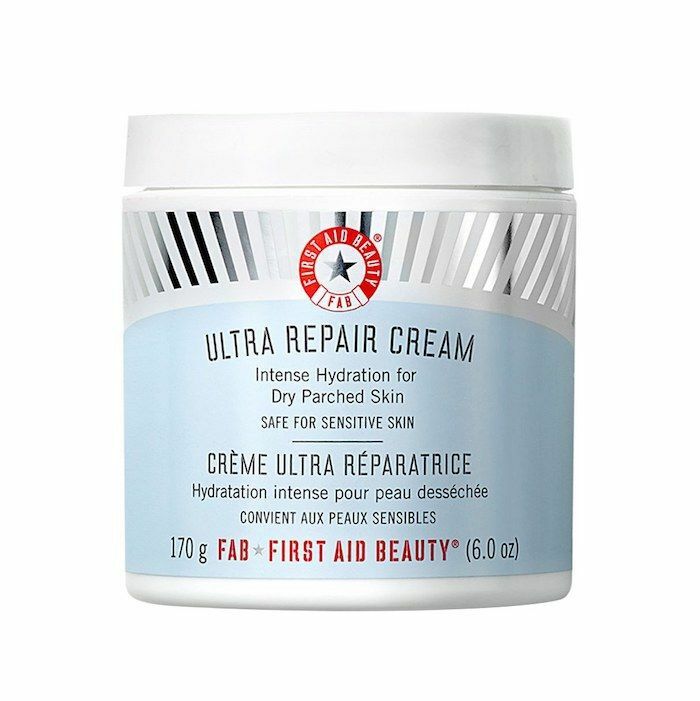 For people with dry skin, reach for a thick moisturizing cream—we like First Aid Beauty's Ultra Repair Cream ($30). For those of us with oily skin, try a lighter gel moisturizer like Neutrogena's HydroBoost Water Gel ($20). The latter is one of our favorite drugstore moisturizers at the moment. Kraffert recommends using your moisturizer as another opportunity to treat your skin. "You want your lotion or moisturizing cream to have some brightening or retinol properties (yes, it's okay for daytime too!) and then follow that with a light formulation of SPF coverage." The final moisturizing/treatment step of your skincare routine should be eye cream, which hydrates the delicate under-eye area while keeping fine lines and wrinkles at bay. Kraffert says it should always be "the last step in your regular routine." He recommends using it twice a day. 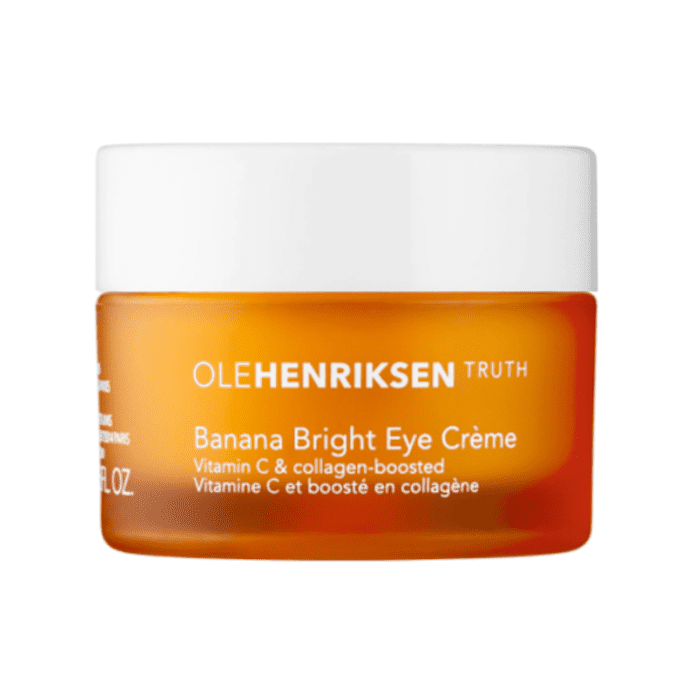 Ole Henriksen's Banana Bright Eye Cream $38 is our current favorite eye cream. It supports your skin's natural collagen production while brightening the look of dark circles thanks to its potent vitamin C.
The final step to a well-ordered skincare routine is sunscreen (of course). It's the best tool for preventing signs of aging—namely hyperpigmentation, fine lines, and wrinkles. "Sunscreen should go after skincare and before makeup. It would not be ideal to put SPF under a lotion or cream moisturizer because, by nature, SPF products block sun's rays (and anything else) from absorbing into the skin," Kraffert says. Just don't forgo the use of sunscreen for an SPF BB cream. Kraffert says the recommended amount of SPF for daily wear is 50, and most BB creams provide much less coverage than that. (We like Supergoop! 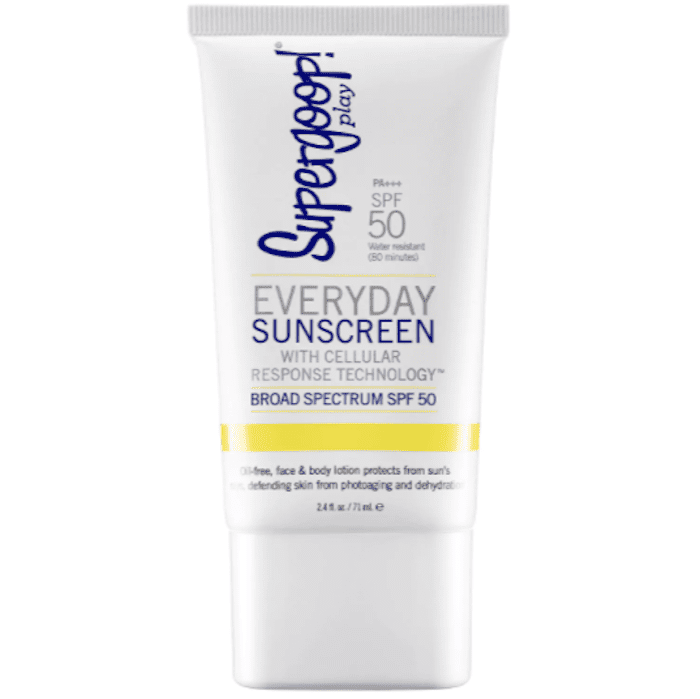 Everyday Sunscreen $19, which is lightweight and non-greasy for wearing everyday underneath makeup). That's it. That's the proper order for applying skincare products so they all work most effectively. If your routine differs from the one outlined above, that's okay. Just remember Darden's general rule: thin products to thick.